In the past couple of weeks, I have seen a lot patients needing lumps, bumps and masses to be checked. I have had a lot of clients asking questions about diagnostic options that would help obtain an answer. Usually doctors would either recommend cytology or biopsy of the lump in question. So, I thought that it would be a good idea to discuss the differences between a cytology and a biopsy in regard to lumps. I have to first say that a doctor can not grossly look at a lump, bump or mass and tell an owner if it is benign or malignant. This method is the least invasive. Cytology is performed very quickly in house or sent to a pathologist with a sterile fine gauge needle attached to a syringe. It is also the least expensive compared to biopsy ( histopathology). It is possible that the sample might not fully represent the condition that is occurring due to only obtaining a small sample size. When obtaining a sample, sometimes the architecture of the cells can be destroyed. Sometimes the lump does not exfoliate well . The means that the lump does not want to give up any cells. It is not always diagnostic. It unable to tell if the tumor is invading surrounding tissue. A biopsy is the surgical removal of a lump. This method examines tissue of a suspicious lump. General sedation is usually required especially to remove an entire lump. This procedure is usually more expensive as well. A pathologist will ermine the tissue that was sent in and it usually takes longer for results than cytology. In most cases a pathologist can provide a definite diagnosis. Often a biopsy can provide if the lump is malignant or benign as well. The pathologist can also determine if the tumor extends into surrounding tissues. 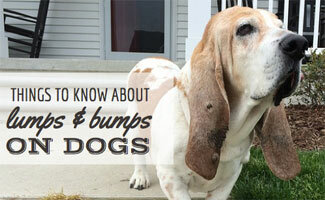 If your fur baby every develops in lumps or bumps, please give Hillcrest Animal Hospital to make an appointment . We would be happy to help you and your fur baby.